The SMOK Majesty TC mod is a new mod for dual 18650 cells with max 225W output. This mod is a Carbon fiber cover edition. SMOK just released their latest box mod - Majesty mod! Box mod is powered by dual 18650 batteries, it gives maximum 225W output and supports VW mode and full temperature control. Majesty mod features updated user interface, which is easy both to understand and navigate. All the vaping data will be clearly displayed on a big OLED display. 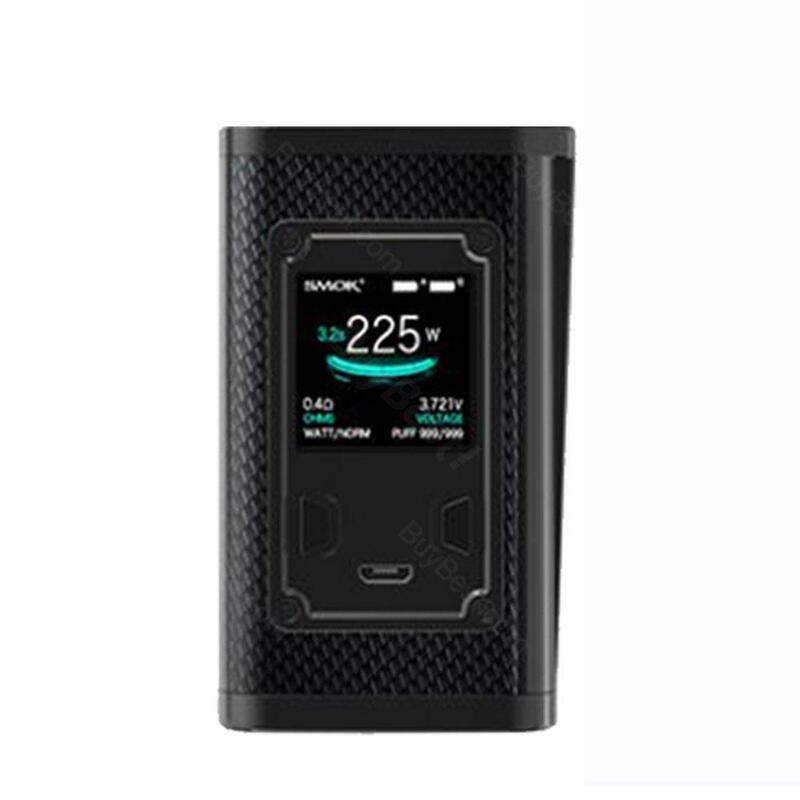 SMOK equipped the mod with a large ergonomic grip-style Fire button. Majesty mod has two editions, you can choose between carbon fiber and resin cover, both looks classy and gorgeous. • Quick Link: Resin Edition ; replacement coils. Die Akkus kann man bequem mit Hilfe des beiliegenden Ladeadapters an jedem Usb-Anschluss aufladen. SMOK Majesty TC Box MOD Carbon Fiber ist wirklich gut. SMOK Majesty mod is popular among my friends and the vaping scope. It works very well and I can't find any disadvantages in it. Highly recommend it.